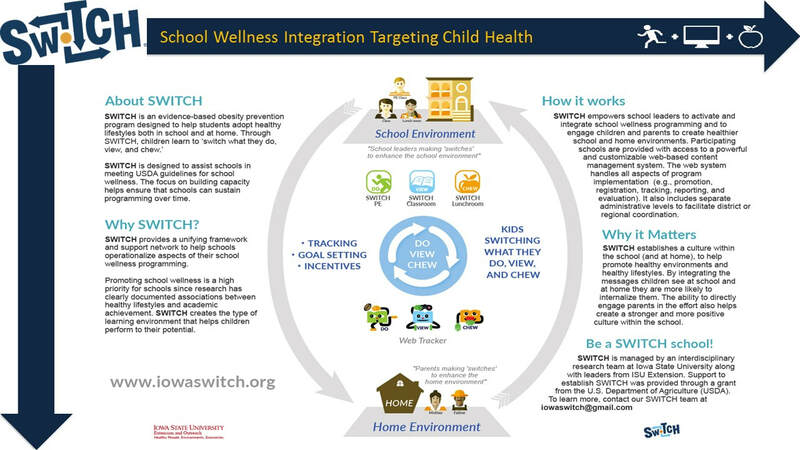 Members of the lab have led the coordination and evaluation of a school obesity program called SWITCH (School Wellness Integration Targeting Child Health). Through a USDA funded grant, the team is working to building and evaluating training models to facilitate broader adoption, implementation and maintenance across Iowa. Click here to download a program overview. 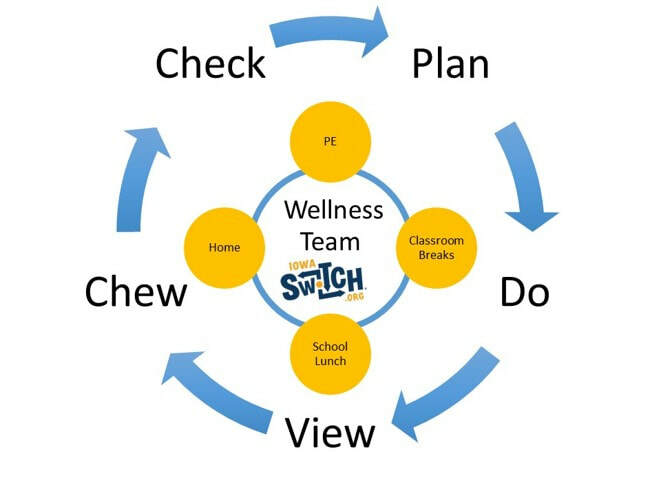 Switch is guided by an interdisciplinary research team consisting of a number of ISU faculty members as well as colleagues at Kansas State University and Louisiana State University. Complete the form below if you would like more information on SWITCH or details on how to launch it in your school.